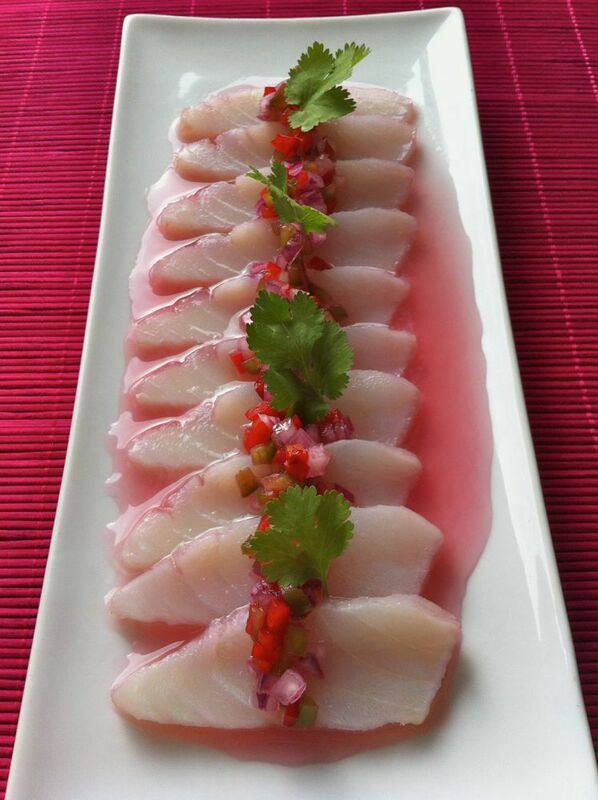 Who loves raw fish, carpaccio and sashimi .... also loves ceviche. 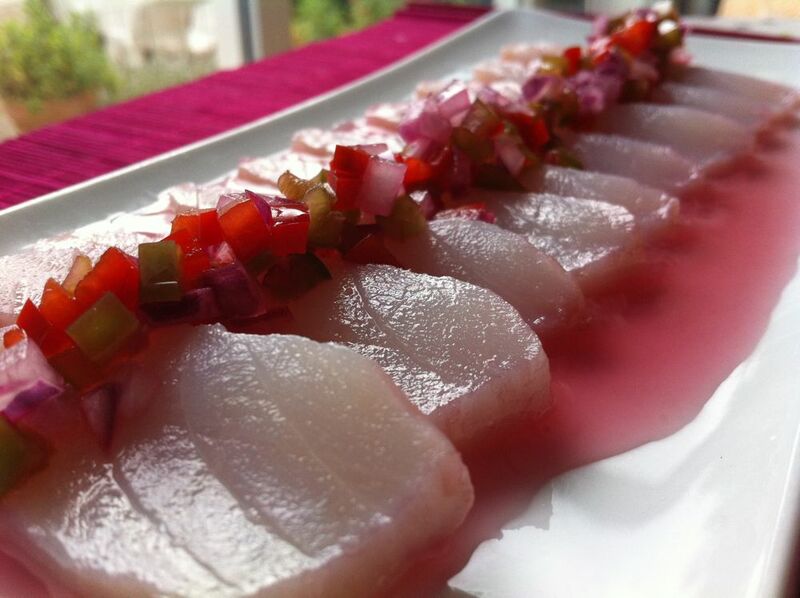 Although this is not the classic version, but something in between ceviche and a special marinade made with rosè wine, lime and ginger. 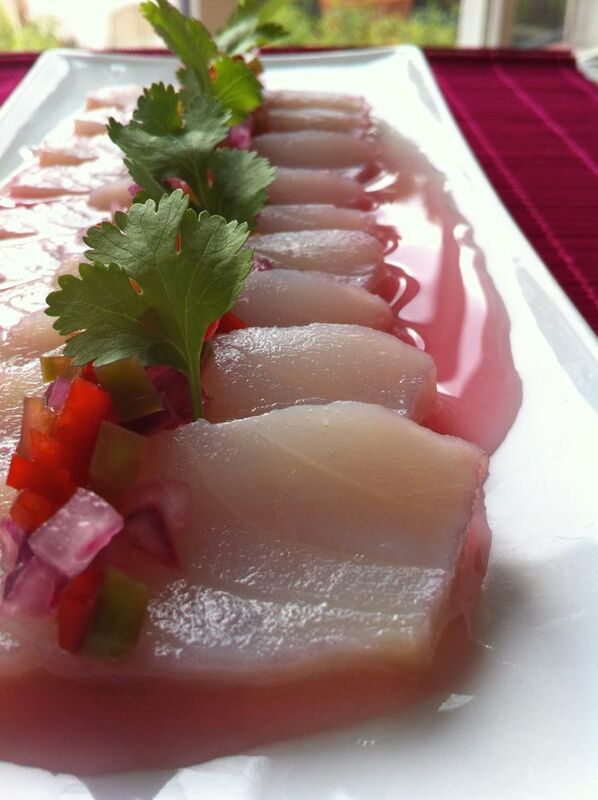 An exotic way to marinate any type of fish. Also great as a sauce for oysters!. 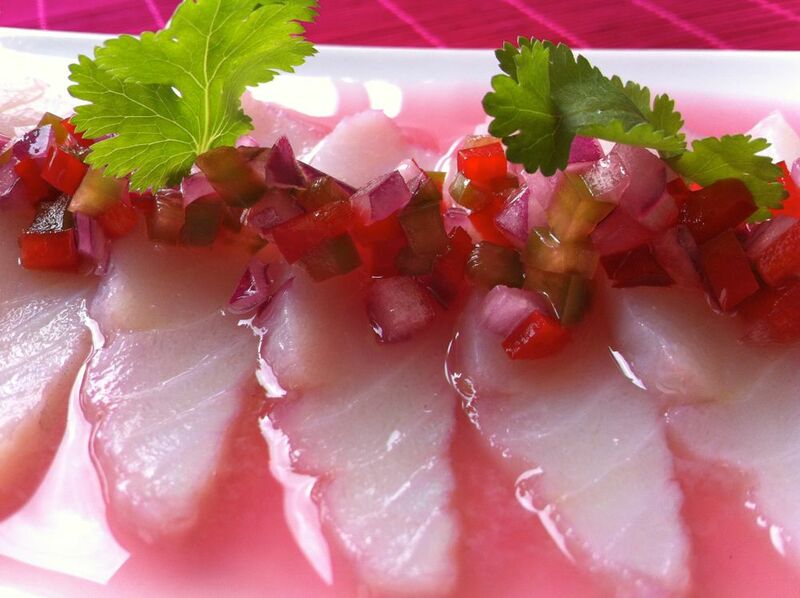 Traditional from Latin American, the ceviche is mainly raw fish cut into chunks, seasoned with salt, lime juice and chili. Usually served with onion and cilantro. The marinade that I’m presenting you, takes inspiration from the ceviche but with the addition of wine and ginger syrup to balance the acidity and the to replace partially the chili. You can use any type of fish, from tuna to sea bass. Today I used the cod (stockfish) already desalted. You can season the fish with the marinate and serve immediately or marinate for several hours or overnight. Obviously then more time you live the fish in this juice, then more the meat will be cooked because of the acidity. For the syrup, boil the water and sugar (equal parts 100gr. + 100 gr.). Turn off and add the ginger sliced, cover and let it rest at least 20 minutes (or a few hours better). Squeeze the lime, mix with the rosè wine and add the gradually syrup until you get a sweet tone, enough to balance the acidity. Add a brunoise (diced) red onion, red and green pepper. Let it rest in the fridge. Serve the fish cut into chunks with a bit of the marinade, his vegetables, salt flakes and coriander if you like. tempi di preparazione: 20 min.